With all of the big names getting the attention in 3D printing, many are surprised to learn that GE (General Electric) is also a big player. GE is pretty cautious when it comes to large investments in technology as they have seen trends come and go, however, their $40 million investment this past week in a facility for Additive Technology (3D printing) confirms that they see the writing on the wall: Additive Manufacturing is not a fad or trend, it’s here to stay. One really exciting thing that will come to fruition is the fact that GE never opens a facility just for the sake of using a technology; they will advance it further and that’s really why this announcement is such a big deal. GE opened the new center in Pittsburgh which was exciting to the city because it puts them on the map as a leader in 3D printing and the advancements that come from it. “We’ve tapped into America’s best-kept secret,” says Jennifer Cipolla, who runs CATA, in regards to Pittsburgh, where Tesla and Google have also opened offices. “We think Pittsburgh has the chance to be one of the four or five destinations for advanced manufacturing,” adds GE Chief Executive Officer Jeff Immelt. The new facility is funded by each of the GE businesses, with the goal of integrating 3D printing for all. 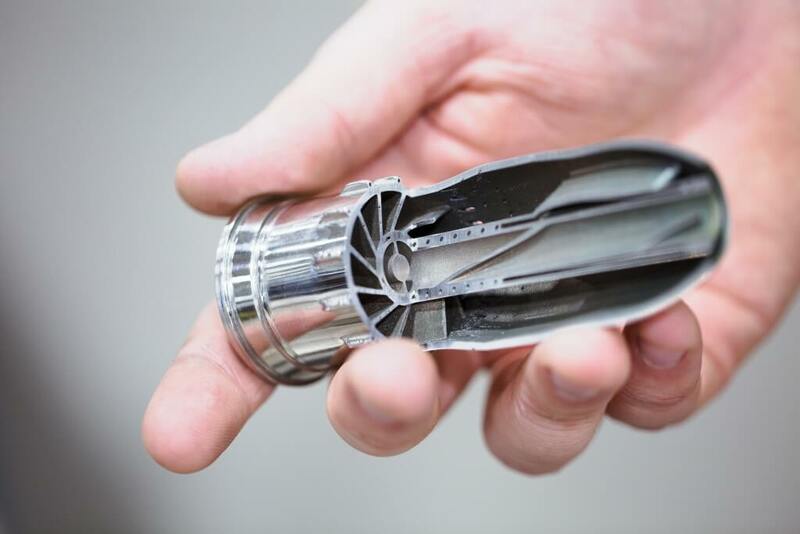 GE has historically been very involved with 3D printing to create fuel nozzles for jet engines. The goal is to push the limits of additive manufacturing and stay at the forefront of innovation within the industry. The CATA industrialization lab is meant to promote this mission, allowing GE businesses to bring in their 3D printing concepts and optimize them, as well as working to bring them to fruition. If there was any doubt about the future of additive manufacturing and DMLS, then this move by GE should cement the fact that it’s not only here to stay but it’s going to become the standard in metal printing. Due to concerns over the various qualifications processes and impact of different materials, the FDA has been slow to approve the use of 3D printing when it comes to medical devices and drugs. In order for the process to move quicker and more smoothly, the FDA has [finally] released a draft guidance for 3D printed medical devices. Since technology typically moves a lot faster than most agencies can keep up with, this guidance comes at a time when then FDA has been been confronted with both the 3D printing of drugs and medical devices. To date, there have only been 85 3D printed medical devices that have been approved by the FDA. 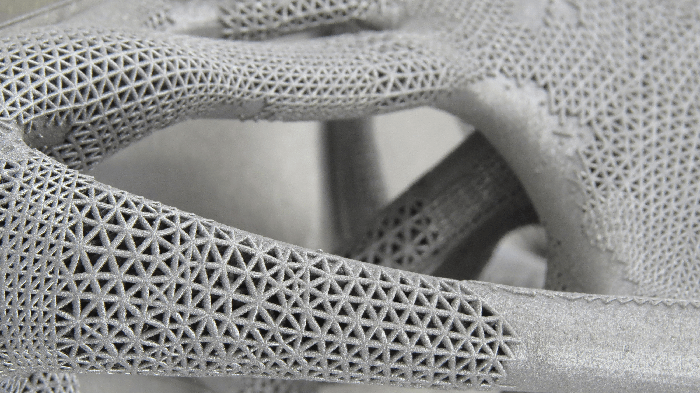 Back in March, a 3D printed tritanium PL posterior lumbar cage was approved. But so far few of them include high-risk devices that require premarket approval. The FDA feels that this group is more likely to benefit patients in the short term, so their new draft guidance is fully focused on these medical devices. Its goal? To provide developers with more insights into FDA thinking about the technical considerations and validation processes that 3D printed devices require. The new FDA guidance is focused on two of the most important areas of development: design and manufacturing, and device testing. The benefit here is that this new draft guidance provides insights into the most complicated parts of the approval process. For 3D printers, this means they will need to “clearly identify each step in the printing process… from the initial device design to the post-processing of the final device.” The developers and clients who might hire outsourced 3D printers also need to understand all upstream effects of the different manufacturing steps. “For example, the ratio of recycled to virgin powder can affect melting properties, which affects the energy needed to create consistent bonding between layers, which in turn affects [a device’s] final mechanical properties,” they write in the draft. The full draft can be found here in our library. 3D Metal Printing (DMLS) is getting bigger. 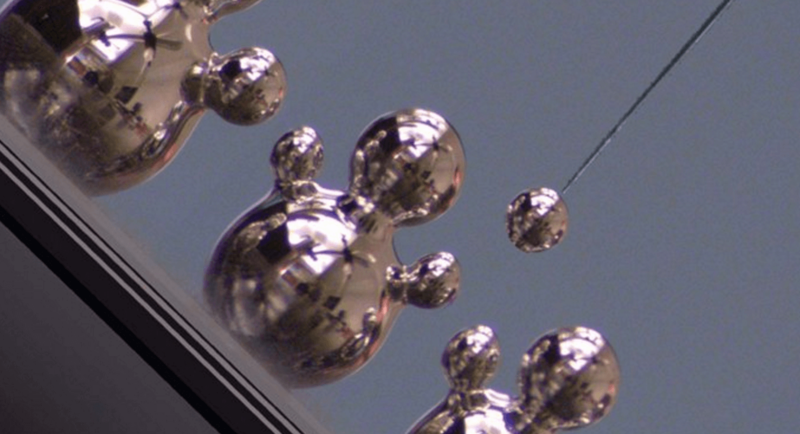 In a recent article published by 3D Printing Industry, author Davide Sher highlights some of the reasons why the 3D Metal Printing industry isn’t shrinking or declining, it’s getting much bigger. One of the reasons the 3D metal printing industry is getting bigger is competition. When you see tough competition, this indicates the need for the services and equipment or there wouldn’t be anyone in the market. There are currently about eight players in the space and more are coming onboard. EOS is one of the market leaders along with Concept Laser. Second, there are increasingly more technologies being used for 3D Metal printing. There are other technological approaches, for example, like the binder jetting technology proposed by ExOne and Digital Metals. Although binder jetting needs post processing, the technology can do things that powder bed fusion (currently the most widely used method) cannot. These newer technologies will open yet unseen possibilities for thin walls, high detail, smooth finish, and fully dense parts that may even be made up of multiple materials in the future. Third, there is actual demand for production parts coming out of 3D metal printing. Both the automotive industry and the aerospace industry have began making parts not just for prototyping but actual production. In the aerospace industry, the use of topological optimization and generative design is soon going to be a must in order to meet the environmental requirements of tomorrow. When GE, for example, chooses to invest $3.5 billionto purchase the 3D-printing machines that can produce metal parts and train the staff needed to run them, it’s not doing so because the technology is cool—it’s doing so because that’s where the additive manufacturing industry is headed. Additive Manufacturing (DMLS) has been a rising trend that has the potential to revolutionize nearly everything we manufacture from human organs to mechanical components to firearm parts. For the Air Force, these types of 3D metal parts, including flexible electronics, sensors, fuzes, energetics and warheads, help AFRL achieve the longer-term goal of using technologies like DMLS to rapidly prototype advanced capabilities for warfighters. I3D MFG, is able to use their experience and engineering to design, recommend, and produce advanced metal components using additive manufacturing (DMLS) in order to fuel the next-generation of 3D metal printing techniques. PiperJaffray released the results of their 4th Quarter 3D Printing Survey which can be found in our Library. Please download it and read the entire article as it’s a great deep dive into the current and future state of 3D metal printing. What they found for the 4th quarter was an indication that system demand remained challenged from the 3rd quarter. As it turns out, PiperJaffray believes that Q4 and 2015 turned out to be challenging for the entire industry as a whole as users digested excess capacity which had built up over the years. They also believe poor macro and FX conditions, as well as vertical specific headwinds in the Oil and Gas industry, played a role in the disappointing year for many 3D printing companies. Though the data looks a bit discouraging in the report, it is encouraging to hear from industry contacts that interest and demand is beginning to reaccelerate for 3D technologies and they believe pipelines are strong heading into 2016. PiperJaffrays believes this is evident by the accelerating 1-year growth expectations from both Stratasys and 3D system resellers. All in all, as the report points out, industry experts believe it will take additional quarters to get through some of the headwinds affecting companies in 2015, but are optimistic we will see a turning point in the second half of 2016. Access the report here to see a full industry breakdown with insights and analysis. Marc Saunders, Director – Global Solutions Centres at Renishaw, recently discussed how Additive Manufacturing (AM), a specifically 3D metal printing, can give us the ability to create components from designs that would be nearly impossible to produce conventionally. As he points out, it’s not as simple though as having “unfettered freedom” to do whatever we want. There are capabilities and limitations. “AM gives us huge freedom to design parts differently, but we do need to be aware of some of the characteristics and limitations of the process, so that we create parts that can be built successfully. The DfAM rules described above are not too onerous in practice, and actually encourage us to consider ways to make parts that are lighter, faster to build, and more cost-effective. In a recent article in the Dayton Business Journal, a good friend of ours, Chris Collins, published an article all about keeping Dayton ahead of the technology curve and one of the things leading that curve is 3D printing. The article discusses the fact that Dayton has always been seen as somewhat of a declining economy with the downfall of the automotive industry but in fact it’s actually a hotbed for the manufacturing industry. Dayton also happens to have one of the most cutting-edge research and development facilities in the United States at Wright-Patterson Air Force Base, which has initiatives in place to offer the local economy vendor priority. In the article, Chris discusses why Additive Manufacturing is the next big industrial revolution and he want to help put Dayton right in the epicenter that revolution. To really help put something behind that statement he uses the example of how NASA sends 3D printing files to the International Space Station where they can print them out for research and testing purposes. No needing to make something, package it, then ship it. Additive Manufacturing cuts out so many inefficient processes that it just makes sense to become the next revolution in the industrial/manufacturing world and all the way down to the consumer market. Collins then hypothesizes that some day we won’t even need to ship any longer and in fact, when we buy certain products we will get them specifically made for our own personal selves instead of the generic “S-M-L-XL”. This is certainly true about the entire Additive Manufacturing (3D Printing) industry and it’s also true that it is not a fad or a trend, it’s hear to stay and it’s changing lives everyday even if you don’t realize it. Wohlers Associates sends a survey to service providers each year to help identify trends in the additive manufacturing (AM) service industry. The 2015 survey asked for information about the respondents’ experiences in the calendar year 2014. (The 2014 survey was for 2013 calendar year.) The number of respondents continues to increase almost every year. 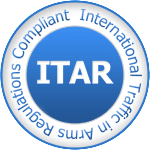 This year, 87 service providers in 23 countries participated, with 38 from the U.S., eight from Germany, five from Canada, four from Australia, three each from China, France, India, and Italy, two each from Belgium, England, Netherlands, Spain, and Turkey, and one each from Austria, Brazil, Denmark, Ireland, Japan, Portugal, South Africa, Sweden, Switzerland, and Thailand. Excellent growth in 2014—we almost doubled our sales. Thanks to all who work and contribute to our industry. We believe our rapid prototyping business declined because customers added capabilities in-house and reduced outsource business. Market demand increased sharply in 2014. More and more end users began to try to use AM technology to solve their machining problem. Some end users began to design parts for manufacturing using AM technology. We certainly believe 2015 will much better than 2014. Most of the service providers that responded to the survey had a positive year in 2014, in both the primary and secondary revenue streams. Based on this data and their comments, we believe the majority is in relatively good financial health when the survey was conducted in early 2015. As a whole, they are growing, and growth in 2014 continued a positive trend that began in 2010 after two years of decline. Read the full report here in our DMLS resource library. We have added two new case studies to our DMLS Resource Library. Major David Liu and others at the Airforce Institute of Technology (AFIT) have published groundbreaking studies based on Additive Manufacturing (DMLS) optimization of aircraft wings and lattice-reinforced penetrative warheads. 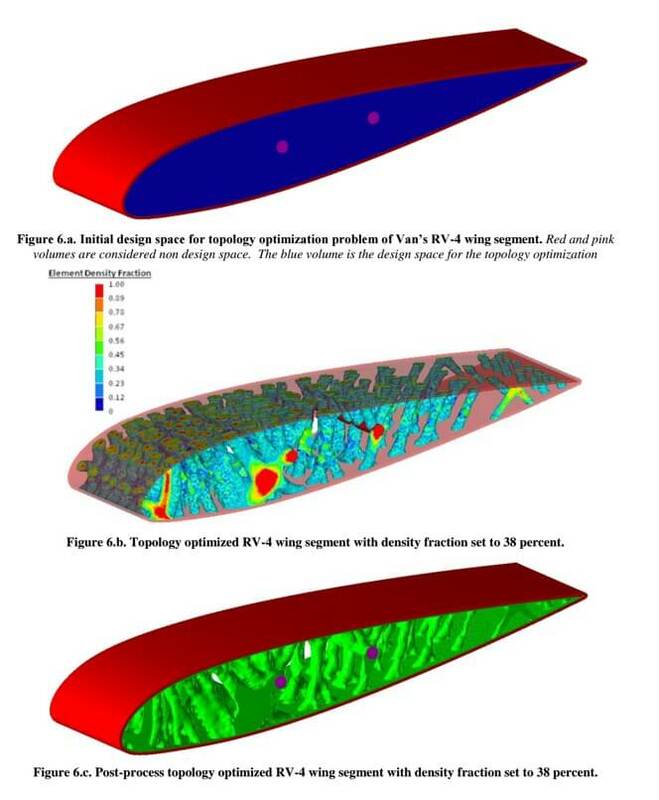 Topology optimization was conducted on a three-dimensional wing body in order to enhance structural performance and reduce overall weight of the wing. The optimization was conducted using commercial software on an aircraft wing with readily available schematics, allowing a stress and displacement analysis. Optimizations were accomplished with an objective of minimizing overall compliance while maintaining an overall design-space volume fraction of less than 30 percent. A complete wing segment was post processed and 3D printed. Future analysis involves the optimization of a complete wing body with comparison to the baseline structure. The resulting designs will be 3D printed and wind-tunnel tested for process verification. A design will also be manufactured using metallic additive manufacturing techniques as a proof of concept for future aircraft design. The final optimized solution is expected to provide a weight savings between 15 and 25 percent. A second case study along with a great presentation by Captain Hayden K. Richards and Major David Liu discusses the groundbreaking effect of DMLS on lattice-reinforced warheads. Penetrative warheads, characterized by massive, strong, and tough solid cylindrical cases with ogive noses, are generally manufactured using traditional techniques such as subtractive fabrication processes. In these processes, material is removed from pre-formed solid masses to produce simple shapes. Recently, the development of sophisticated additive manufacturing (AM) machines, known colloquially as 3D printers, has revolutionized the process of building metal parts. Visit our library for access to these incredible studies which help to reinforce the growing use of DMLS in critical industries such as aerospace and firearms. We have a new white paper in our DMLS Resource Library that discusses mechanical testing of DMLS parts from one of the leading manufacturers of Electro Optical Systems (EOS).